omid (mashhad, Iran) on 22 December 2011 in Lifestyle & Culture and Portfolio. به‌به... امیدوارم که به شما هم خوش گذشته باشه.... چه‌جوری انار رو به این شکل درآوردین؟! Great composition and wonderful warm image! Una luz fantástica ,una buena composición. have a good celebration of Yalda. A fine capture of not only the candle flame, but the ambient light it casts on the other elements. Fine shot. ops, it was yesterday, no? @JCJ: yes, This photo is related to last night. Merveilleuse flamme de l'espoir superbe compo et iamge quel ensemble et compo. That's perfect!!!! Love mangranas!!!!!! Happy night! 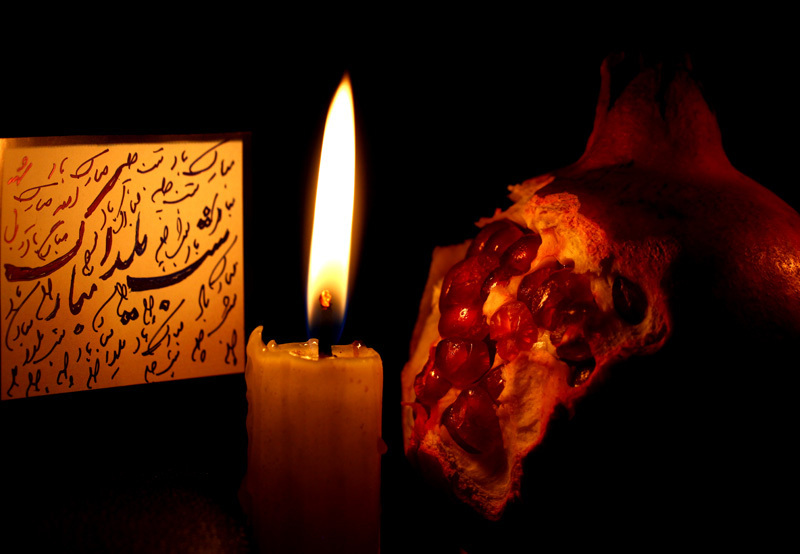 Just search the significance of Yalda Night, found the answer, the picture depicts that perfectly. Nicely done. Beautiful golden light captured from the candle! Great detail as well. That pomegranate provides a really unique element to the photo - nicely done. Warm and festive ambiance. Great shot. Very interesting shot . I love those dark colours. Very, very beautiful shot. Bravo.